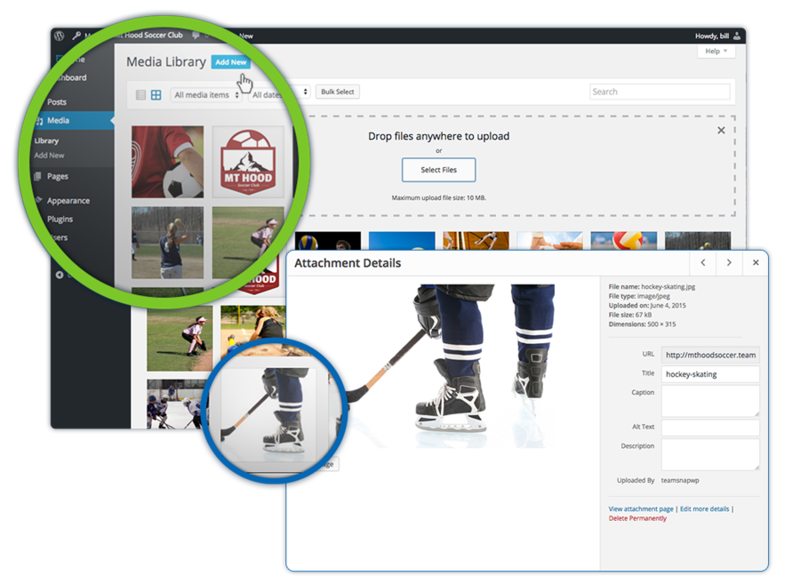 The Media Library stores all your uploaded images, so as you’re adding and editing pages, images will automatically be added to the media library. You also have the ability to simply upload images directly to the library for later use. To add images directly to your Media Library, simply navigate to there through the admin sidebar navigation, click “Add New” and either drop images into the expanded upload area or select files. Once images are uploaded to your library, you may also click on that image and edit details of that image like caption, title, thumbnail, etc.